Vaishaka suddha Tadiya or the third day of the waxing phase of the moon in the month of Vaishaka is observed as Akshaya Tritiya. Akshaya Tritiya will be celebrated on Tuesday, 7th May 2019. Akshaya means the one that is never ending or infinite. It is believed that Lord Vishnu is the ruler of this day. 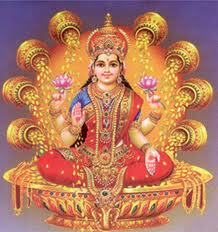 Any deed which pleases the God like Japa, Daana etc on Akshaya Tritiya would yield infinite virtue. It is believed that buying of Gold on Akshaya Tritiya would make sure that Gold never diminishes and would only grow to bring wealth and prosperity. Lot of people buy atleast some amount of Gold on Akshaya Tritiya. Treta Yuga started on Akshaya Tritiya. The one day out of the three days, success is guaranteed if a work is started is Akshaya Tritiya, the other two being Ugadi and Vijaya Dasimi or Dassera.